I’ve just come back from a two day parenting teens course with lots of great, inspiring and challenging thoughts in my mind. One is around control and influence. When my children were younger we (the adults) felt in control of their behaviour and to some extent their feelings too. Maybe we never were actually in control but it just felt like it. Now however, with a 15, 16 and 17 year old at home we are not in control at all BUT we can however influence. What helps us to influence though? We often assume that it’s a given that younger people will listen to us because we’re older but not so most of the time. Actually in teenage years part of that process is moving away from adults and becoming independent. Even when we, as the adults, can see they may be going down a dangerous path we can’t just give them a lecture and expect them to follow our path. 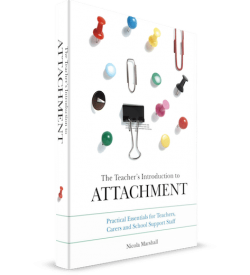 It can be very frustrating for us as parents, and in schools or working with young people. It’s also frustrating I’m sure for the young people themselves. Such a lot of changes occurring in their lives and they are desperately trying to work it all out themselves. “I was a teenager once you know, I’m telling you that’s not the right decision for you to make”. “If you carry on like that you will ruin your life”. Make decisions for them on who they see and what they do. Make judgements on their decisions and tell them what we REALLY think about their choice of friends. Try to know everything about what they are doing and who they are with. Ignore the signs of anxiety they are giving us through their behaviour – “it’s just a phase”. Threaten to take all their privileges away if they don’t do what we say. As I was writing these I could hear myself in all of them. I’ve tried all these and sometimes it ‘works’ in terms of getting my teenager to do what I want them to do, BUT it doesn’t last and it doesn’t strengthen our relationship. The problem is we’re still stuck in the expectation of parent control and child compliance. However, there comes a point in time (hard to know when that is) that all we have is influence, and this comes through relationship. When we are out of relationship we are out of influence. So, how do we stay in relationship with our teens who want to pull away from us and their peers become the main source of influence? These are useful things to consider in education too! See the frightened toddler inside the sweaty teenager. So many times I am torn between wanting to cuddle my teenagers to death or push them away. When we are out of relationship it’s hard to want to keep them close at all. BUT, however old and tough they might seem, they need nurture, compassion and love. I love the times when my boys and girl will sit next to me on the sofa, watch a film and cuddle. Doesn’t happen often, but we need to be open to welcome that when it does happen. Understand the root of behaviour. On the course I was just on the model was based on the Stress model from Bryan Post which talks about our two basic emotions – fear and love. The root of much of our teenagers’ behaviours (particularly those who’ve experienced early trauma) is fear. We need to keep that in mind when they may be aggressive, defiant or downright offensive. Fear is the root and needs to be met with a loved based approach not more fear and shame. If we are stressed ourselves we can’t respond in love. It’s very difficult to respond in a love based way if we as the adult are stressed out and dysregulated. It can be extremely hard to regulate yourself when you are are a heightened stress level yourself as many of us know, whether parent or educator, but it’s essential to work on this constantly. Understand the impact on our bodies of fear. Much of the course was looking at our physiological responses to stimulus. Our brains react to stress in certain ways and the chemicals floating around our systems impact us too. When we are out of relationship our bodies, particularly teenage bodies, can go into a fear state which will impact their capacity to think, and act in ways we’d like them to. This means we need to be able to pre-empt triggers and help our teenagers to regulate. 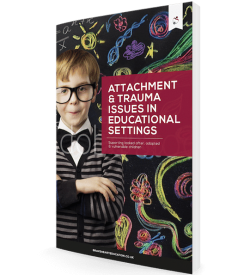 Those who’ve experienced early trauma will be on red alert to fear and stress and might be in constant states of amygdala highjacking (Daniel Goleman 1996). Stay in relationship above all else. The desire to want to be right, to make our teenagers listen to us and follow our lead can be overwhelming. The need to fix them can stop us from staying in relationship. 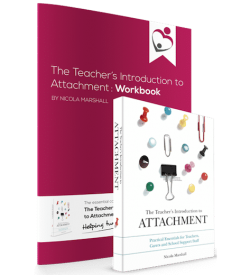 Try to let go of your outcome and focus on them – how do they feel, what do they want to do and how can we help them to navigate their way through the teenage years to adulthood and stay connected? It was a challenging and inspiring course, which I will continue to process over the next few weeks but for now just connecting with my teenagers over the last few days has opened up conversations we’ve not had before. I am able to understand their reactions a bit more and feel that we can work together better. Of course, with teenagers we know that tomorrow it might be different but for today I will hold onto this stay in relationship and look to influence not to control.